On Saturday, February 2nd, these fragile and fundamental ecosystems for biodiversity and the protection of the territory are celebrated. 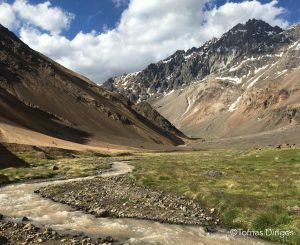 The Wetland Park of the Maipo River and the Andean Juncal Park propose new actions for its conservation. Wetlands are considered one of the most productive ecosystems for the environment. Until very recently, they were seen as mere posts for migratory birds, but their role is much more relevant: they retain nutrients and sediments, supply water, attenuate the effects of flooding, provide moisture and house high levels of biodiversity, which is why they are big reserves against the challenges and threats in the face of climate change. They are also currently in a very vulnerable state today due, in large part, to human intervention: urban growth and industrial residual discharges. 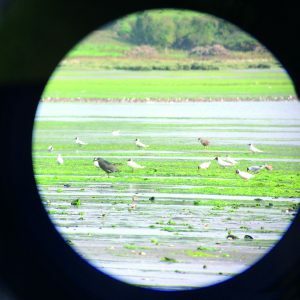 Since 1975, the world’s most important wetlands are protected by the Ramsar Convention, which took place in the Iranian city of Ramsar on February 2nd of that year. In Chile, there are 14 Ramsar sites, one of which is Parque Andino Juncal (Juncal Andean Park), declared in May 2010. This high-Andean bofedal is the only wetland designated as such within a private protected area throughout Latin America. The Juncal Andean Park represents two-thirds of the Juncal Valley, where clean water is born from the Aconcagua River, which supplies thousands of people with drinking water, as well as water for agriculture and industrial development. The Juncal Valley has remained pristine, without the intervention of hydroelectric or mining projects, but is currently threatened by a mining exploration project. In Chile, privately protected areas (PPAs) have certain legal and institutional protections, such as the Derecho real de conservación, but they are threatened by mining, hydroelectric and real estate projects. Given the pre-eminence of the Mining Code and Water Code in the legislation, the only protected areas free of industrial interests are National State Parks. Given the vital role in protecting biodiversity and water resources, as well as its important role in combating climate change, it is crucial to become aware of the imperative of the conservation of high Andean wetlands. Juncal Andean Park invites you to celebrate this day and to talk about ways to protect them more strongly. 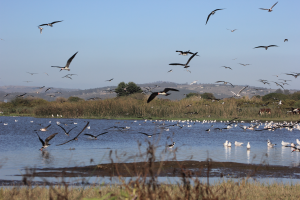 The Río Maipo Wetland Nature Park, meanwhile, was created in 2002 to protect biodiversity in approximately 40 hectares, and since 2014 has had the support of Fundación Cosmos for its management and stewardship. Since November 2018, the administration and management of this park has been led by Fundación Cosmos. Together with the Ministry of the Environment and the Municipality of Santo Domingo, they celebrated this year’s World Wetlands Day with a ceremony to honor “handing in a file requesting to declare the park a nature sanctuary,” to achieve a better protection of this environment. Fundación Cosmos was granted the total 33.36 hectares of the park in commodatum for 10 years, for which a management plan will be established that considers the environmental and social baseline of the area, which will help create a zoning plan based on its attributes and capacities, and that establishes programs of management, administration, education, infrastructure, restoration, conservation and promotion.